Yet another luxury condo building is coming to Coconut Grove. 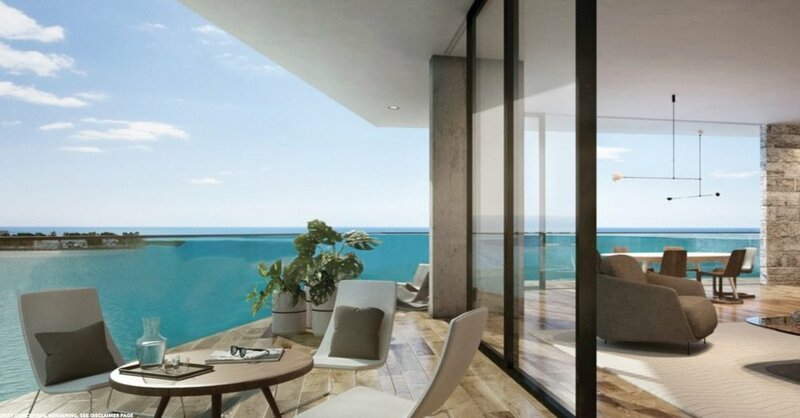 From developers Oscar Rodriguez and Ricardo Vadia ROVR Development comes The Fairchild Coconut Grove, a waterfront, 26 unit mid-rise boutique condo project. The Fairchild Coconut Grove will be located on the 1-acre parcel at 3581 East Glencoe St., which was the site of the former Bay Colony Condominiums. The building will be designed by local architect Max Strang in collaboration with interior designer Rafael de Cárdenas. Pre-sales are underway via One Sotheby's International Realty. 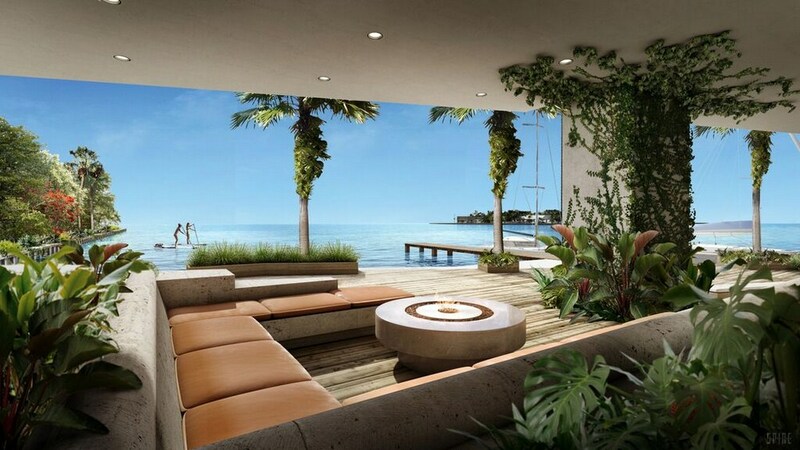 The Fairchild Coconut Grove will have a boutique and "private" feel. Residences range from 2 to 4 bedroom layouts and 1,700 SF to over 4,200 SF. Prices start at around $1.4 million and range up to $4.5 million, at about $820 SF. The building itself will be split into two sections, one section rising 5 stories and the other just rises just 3 stories. The building is expected to break ground in early 2017 with delivery expected in spring 2018. Amenities include a spa, two rooftop decks, a pool and a bay front deck with private boat slips available for purchase. The grounds and building are furnished with lush landscaping to match the buildings natural stone and wood design. Located on the five-story, boutique building’s sunset deck, the outdoor cinema features a luxurious outdoor living room with plush seating surrounded by the lushly landscaped serenity garden perfect for entertaining or enjoying a private viewing of your favorite film.